This is a detailed walk through my journey from debilitating depression and anxiety to healing and complete restoration. It includes a massive amount of Scripture, personal stories, and actual activities I did to assist in applying the Word to my everyday life. I can't even guess how many well - meaning christians told me I just needed to "renew my mind." Yes - I knew that I needed to "renew my mind," (seriously, is there a Christian in all of North America that doesn't know they need to "renew their mind?") But... I just didn't know how. This Bible study is my how. It is a hands on approach to applying Scriptural principles to my everyday life. The study consists of 8 lessons which can be taught in a 4 - 6 part series or each chapter may be presented as a stand-alone message. All standalone messages include testimony of my healing. It is absolutely essential to believe this basic foundational truth if we are to ever trust God. How can I trust God when I don't believe He loves me? Or believe He has a good plan for my life? How can I trust God when I've had so many broken dreams and disappointments in my life? If I do not trust Him, it is impossible to receive healing and restoration. ​Do you ever feel you are stretched so thin there's not enough of you to go around? On top of my personal emotional issues, I was busy doing so many good things that I did not have time or energy to do the right things God was calling me to do. This lesson helped me to achieve balance. A short disclaimer – this area of my life is still a work in progress. One of the most powerful things that affect us in our day to day life is what we believe about ourselves. God has given us His Word, full of loving and empowering truths about who we are in Christ. But it is so much easier to believe the lies of the enemy. If five people tell me I look nice today, but one person says I look a little "under the weather," I have a choice. What am I going to believe? I may even start to agree with the latter. “Maybe I am sick? Do I feel a cough coming on?” This lesson deals with becoming aware of the lies of the enemy and starting to believe who we are in Christ. Jesus was very clear we will have troubles in this world. For me, one of the most powerful lies of the enemy is that I went through trials because God was angry with me. There is a false popular belief that when you become a Christian you enter a bubble of trouble free living. Not only does this directly go against what Jesus teaches, it also sets up new Christians for failure. God is very clear in His Word about how we should live in the midst of trials. And sadly, nowhere in Scripture have I found it to include drowning my pain in chocolate! 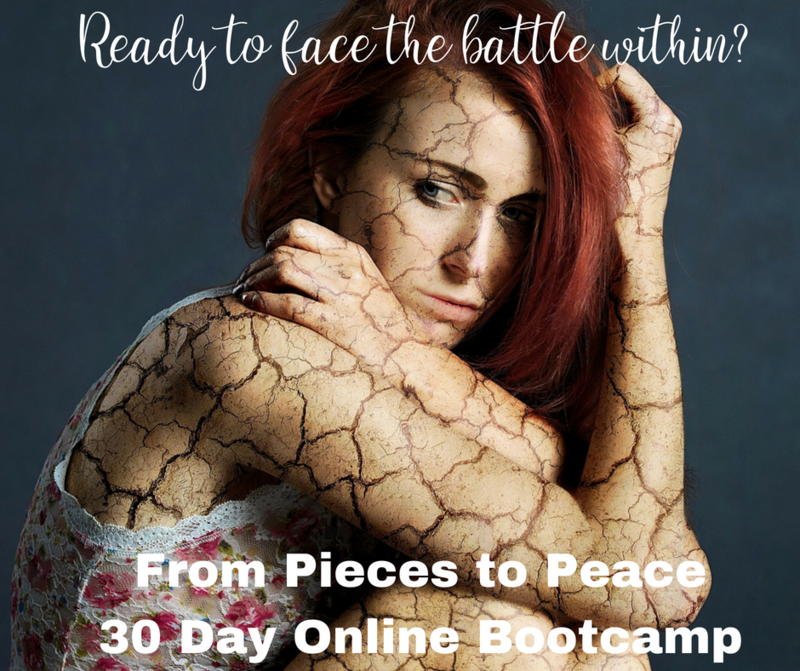 Currently being turned into a 30 Day Online Boot-camp. To be notified when available, please complete contact form. There is a correct way to fear the Lord, and for the majority of my adult life I had the wrong kind of fear. This misconception of God was one of the great contributors to my depression. In learning to fear the Lord in the correct way, not only have I found direction for most of life’s decisions, I have also found peace, freedom and victory. Let me warn you, this did not come easy to me. But oh sister, once I got it, it changed everything. God’s love is unconditional and He continues to love us regardless of what condition we are in. He begins to work on us internally, healing us from the inside out. However, at some point, there should be a noticeable change in our outward behavior to correspond with what is taking place inwardly. After my years of depression, I developed a lot of bad habits that God dealt with as my healing progressed. And honestly, these changes have been HARD! But it is doable, and in this lesson I share practical things I continue to do to establish habits for living a “life of excellence." God calls us to stand strong in our faith instead of cowering in the corner. But I was so defeated in my life that the thought of fighting for anything totally overwhelmed me. We are Daughters of the King and called to live victoriously, and to do that we must be willing to follow God where He leads, including into battles. Where were You God? If You really love me, how could You have let this happen? Will I ever feel whole again? Painfully raw questions from a broken woman in a place of complete hopelessness. This is my story of facing devastating events which resulted in going to bed for over 2 years, being afraid to go out of the house by myself and living devoid of any hope for a good future. Truthfully, I cannot call it living. It was merely existing and believing death would be an end to my pain. Through real life examples, practical applications and humor, I share how I went from having a grave tending mentality to living a life complete in Christ, with purpose and all consuming passion. And once again, life is fun. ​For a saved person with eternity to look forward to, I lived in misery, oblivious to God's design concerning the Christian's life. I floundered,defeated, angry, and bitter. Victory's in heaven, with my crown. Until then, survival mode. Wrong thinking! The Kingdom is central to Jesus' teachings, and I missed it. I'm also seated in Heavenly Realms, but abstractly, right? Like "I'll be home for Christmas, but only in my dreams". The magnitude of Christ's accomplishments on the Cross are unfathomable. Kingdom Living allows God to turn injured into exquisite. It's victory or defeat. You choose. ​In Ephesians, when in battle, Paul tells us that after we have done everything, to stand. Such a simple statement, but it's incredibly hard to do. There were many times I went into my quiet time with God, broken and defeated, that I literally lay on the floor, face planted in the carpet, and sobbed uncontrollably. God never failed me - He met me there and gave a word or promise from Scripture. Many times I received additional confirmation from a friend, a song on the radio or a message. What do we do when we have received the promise, but nothing in the natural has changed? While we are waiting for the manifestation of a promise, how do we stand strong in victory when we are still in the battle? 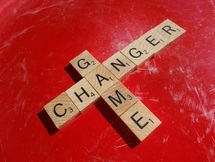 ​In the gospels, Jesus was a people magnet. Sinners sought Him out and ENJOYED being in His presence. Jesus was real with non-believers and they responded to His genuineness. Christians should be the most authentic people around, but I hid behind the pretense that everything was ok, even though I was dying on the inside. I thought I had to...because I was a Christian. ​The Family of God isn't an empty title and church should not be where we hide our pain, but rather, where we bring our pain. Sisterhood in Christ should mean something wonderful. We are called to Do Life together, to encourage and uplift one another. We are to be known by our love for one another. With so many hurting people in the world, it is time for Church of Jesus Christ to shine. ​ Life is busy, like really crazy busy. How often do you feel you have just finished putting away the Christmas decorations and it's already time to baste the Thanksgiving turkey? We have so many opportunities to do good things that sometimes what God is calling us to do gets pushed aside and lost in the chaos. Living with Intent is taking control and living life with purpose; a life fulfilling the call God has placed on each of us - His specific, individual, personalized plan for our lives. We are designer originals, and until we enter into God’s custom-tailored plan for our lives there will always be an undercurrent of discontentment. It is equivalent to taking great care of a bird, but not allowing it to fly. Birds are meant to soar, as are Daughters of the King. ​A secondary option for this message is to establish a closed group of women to pursue this mindset and implement it into day to day living. It is a twelve month commitment, meeting once a month to encourage, validate and ignite one other. The first three months will have a short video lesson, and the rest of the time is spent sharing where you are at and setting goals for where you want to be. Groups may be as small as two but should not be larger than ten. ​Growing up in a pastor’s home, the church was a large part of life. In many ways, it was a good experience. However, grace was a foreign concept I was not familiar with, while accountability and legalism became a stronghold. I couldn't grasp the concept of grace, so I decided I probably did not need it. And then I broke. And Broke badly! In order for God to heal me, He had to deal with the deep roots of legalism. Even now, every once in awhile, legalism rears its ugly head. The roots of legalism run deep, and unless we pull them out and replace them with truth, we will never walk in love and live victoriously - the way Christ calls us to live. ​ Our personal story consists of great financial loss. In this message I share how that loss affected my faith, marriage and sanity. Initially, I minimized the loss by telling myself, "At least I still have my health, husband, kids, etc..." But this only buried my pain and forced me to live in denial. I merely existed. I didn't answer the phone, open mail or deal with our problems with the IRS. The rebuilding process has not been easy, but God is working in us mightily and I am learning more and more each day about His provision. ​This message may also be presented with my husband Jeff for a couple’s event. ​Depression is a powerful force that consumes everything it encounters. It wove it's life sucking tentacles around every aspect of my being. My depression was borne out of overwhelming life circumstances and negative cycles of defeat. I went to bed for 2 ½ years and ate Chocolate Chip cookie dough. This is my story. If you do not see a topic that is suitable for your event, please let me know as messages may also be created for a requested theme or from a specific verse.